Just because Klaus Driessen retired in December doesn’t mean he’s slowing down. There’s an upcoming trip to Asia, a book to finish, and maybe another mountain to climb. He made it to base camp at Mount Everest last year. At 66, the longtime German lecturer in the Modern Languages Department still exudes the energy and humor that made him a favorite with students. Driessen received the 2014 President’s Award for Excellence in Distance Education Teaching for his web-based courses, which have reached students as far away as military bases in Afghanistan. His next project is completing a book about his mother’s decision to hide her Jewish friend from the Nazis in World War II. With the working title True Friends, the book will detail how Mati Driessen rescued Lilli Wolff in Vienna. Wolff stayed in hiding for more than four years. After the war, Driessen and his mother left the small Bavarian town of Altenmarkt an der Alz outside Munich and came to the United States. 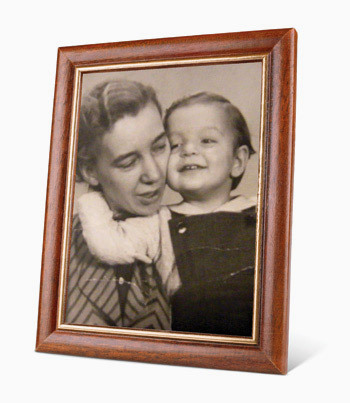 Wolff, already in Dallas, sponsored Driessen and his mother’s immigration in 1956.